Since 2006, Elizabethtown Community and Technical College’s Distinguished Alumni Program has celebrated the accomplishments of 112 outstanding former students and graduates. These leaders have made noteworthy contributions to their professions and communities, expanding ECTC’s impact across the country. Nominees are now being sought for induction into the 2018 Class. Keeping a school district’s bus fleet’s mechanical parts and safety features in good working order is an important task in ensuring students arrive at school and return home safely. LaRue County Vehicle Maintenance Manger Nathan Wheeler and James Jones, school bus mechanic, not only are certified to maintain the district’s fleet, but also have received certification to teach other district’s bus inspectors. LCHS student gains experience in Washington D.C.
LaRue County High School senior Kodee Brinegar was selected to be a National Youth Correspondent at the Washington Journalism and Media Conference at George Mason University. The conference includes education and hands on learning in communications, media research, new media, and electronic journalism. 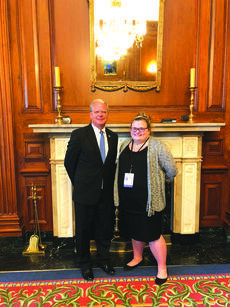 Brinegar spent a week at the journalism conference and interviewed Congressman Brett Guthrie on Thursday, July 12 about the work he has been doing in Congress and on his thoughts about student journalism. The other 4-H exhibits such as arts, photography and foods were taken during the LaRue County Fair in early June. 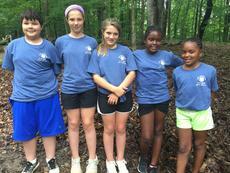 Those class winners will also be advancing to the Kentucky State Fair. 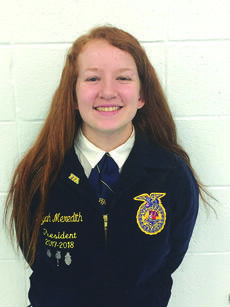 Myah Meredith of Hodgenville was recently awarded a $2,500 Mahindra USA Women in Ag scholarship from the National FFA Organization. The scholarship is sponsored by Mahindra USA Women in Ag. 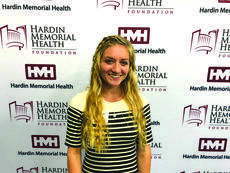 Meredith is a 2018 graduate of LaRue County High School and she plans to use the scholarship to pursue a degree at Eastern Kentucky University. The Scholarship is one of 1,829 awarded through the National FFA Organization’s scholarship program this year. Currently, 114 sponsors contribute more than $2.5 million to support scholarships for students. Eastern Kentucky University has announced 391 Dean’s Award recipients for the Spring 2018 semester and seven of them are from LaRue County.